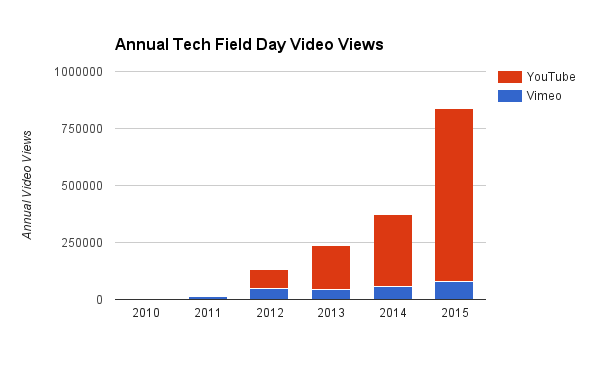 Last year, we were thrilled to report that video viewership had reached 750,000 views over five years of Tech Field Day. This year we’re proud to report that we’ve more than doubled that number: In 2015 alone, Tech Field Day videos on YouTube and Vimeo were viewed more than 839,000 times! This brings total viewership to just under 1.6 million views in six years. And our live stream viewership is extremely strong as well, with over 10,000 different people tuning in live in the last six months of 2015. 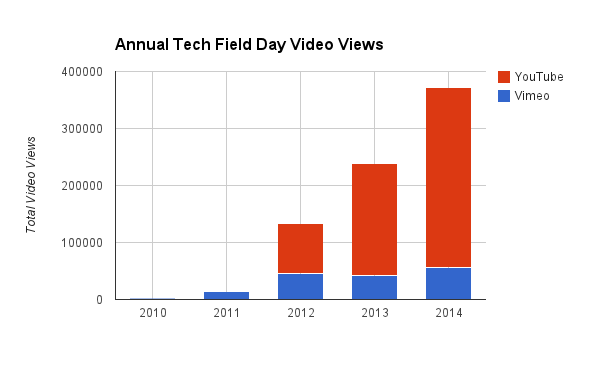 Views of Tech Field Day videos in 2015 were greater than in our first five years combined! When we started Tech Field Day, we thought the video recordings would mostly be a historical curiosity. But once we began posting them to YouTube in 2012, viewership really took off. Today, Tech Field Day sponsors are as excited about reaching our 5,000 YouTube channel subscribers as they are to talk tech with our delegate panel. Overall, Tech Field Day has almost 1,400 videos online. Although we have a few videos with truly amazing viewership (Cisco and Dell both have videos with more than 20,000 views), our average viewership is very impressive at over 1,100 views per video on average. We have always wanted to keep the Tech Field Day videos open and free to view, so we have resisted any kind of registration or tracking. But our presenters often wonder just who out there is watching all these videos. 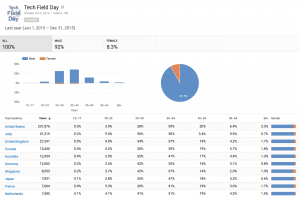 With that in mind, we ran the demographic reports from YouTube and were unsurprised: The vast majority of our viewers are men between 30 and 50 years of age, predominately in the United States but also in English-speaking countries like India, the UK, Canada, and Australia. In addition to posting our recorded video, Tech Field Day added live streaming video in 2013. 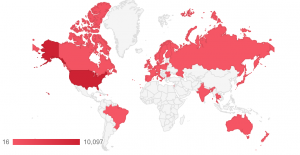 Since we didn’t have a registration page, we didn’t have much visibility into these viewers until Livestream updated their system (and our account) at the middle of last year. Now that we have more data, we can share some interesting statistics in that area as well. 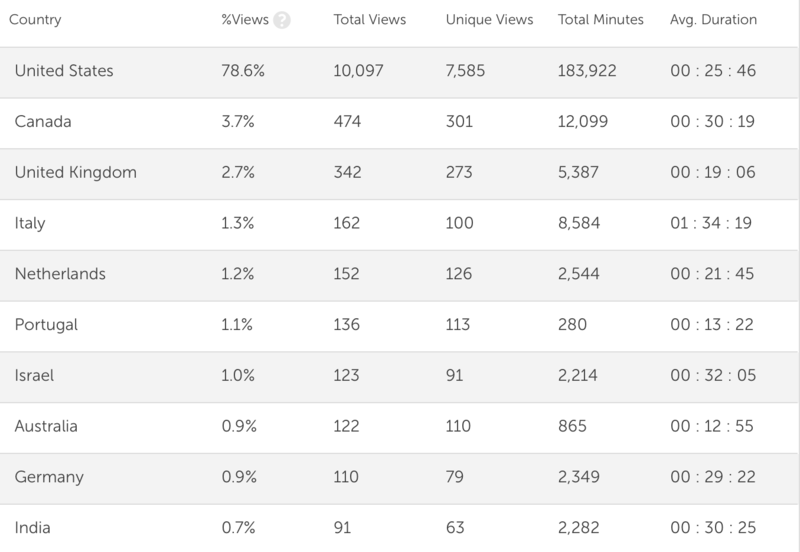 Overall, the six events we live streamed since July attracted 10,035 unique viewers, as measured by Livestream. The average viewer watched for about 30 minutes, but many stayed much longer than that. There were a solid 100+ viewers watching at any given time, with the core audience interacting on Twitter and commenting that they felt like they were there in the room with us. Once again, our strongest country for live streaming video was the United States. Our English-speaking event certainly plays a part in that, but time zones are a major factor as well: It’s very difficult to tune in to an event that runs from 8 AM to 6 PM Pacific time when that’s the middle of the night where you live! Yet we still had non-trivial viewership from India, Australia, and Japan, with some of these folks saying they rearranged their schedules just to watch the event live. In summary, video engagement with Tech Field Day has been off the charts, dramatically exceeding our expectations. If you’re one of the 10,000 people who watched live or the thousands who subscribe to the Tech Field Day YouTube channel, we would like to thank you. Our event is dedicated to sharing knowledge and expanding the community, and that’s exactly what’s happening! We have many more events planned for 2016, and we hope to see you there! Tech Field Day is the signature event run by Foskett Services, and we couldn’t be more proud of it. For 2012, we added additional opportunities for interaction: Live and online Symposium events as well as Tech Field Day Roundtables at other major events. Through it all, we’ve tried to focus on producing the best content possible and placing it in front of any and all online. Over the years, we have gradually shifted Tech Field Day into the public eye thanks to online video. Although a pro video team has been present at every one of our events, we didn’t make that video available to the public at first. The recordings were made available to our presenters, not all of whom were in a position to do anything with it. We added live streaming video in 2011, throwing open the curtain for the first time. Now, anyone online could watch the proceedings and even participate remotely! This led to dramatically more interest and engagement outside the room, and we decided to make it a permanent fixture of Tech Field Day and all other events. Midway through 2011, we decided to post high-quality recordings of all events on our web site, relying on Vimeo for high-quality embedding. 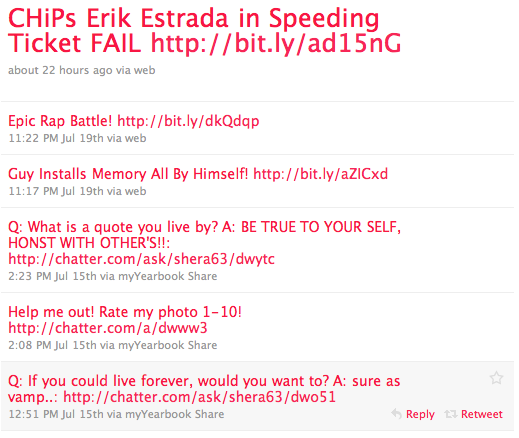 And for 2012, we began uploading everything to YouTube as well, taking advantage of their massive audience. Starting in the summer of 2012, we upgraded our video equipment to high definition and switched to Livestream. This gave us HD live streaming that was iOS and Android compatible! We will continue to improve the live stream over the coming year. Our audience loves video! 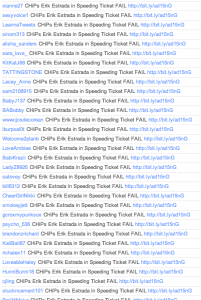 For 2012, we posted 237 videos to Vimeo and 231 to YouTube from the 14 events we held. Together, video viewership was amazing, with 90,222 views! 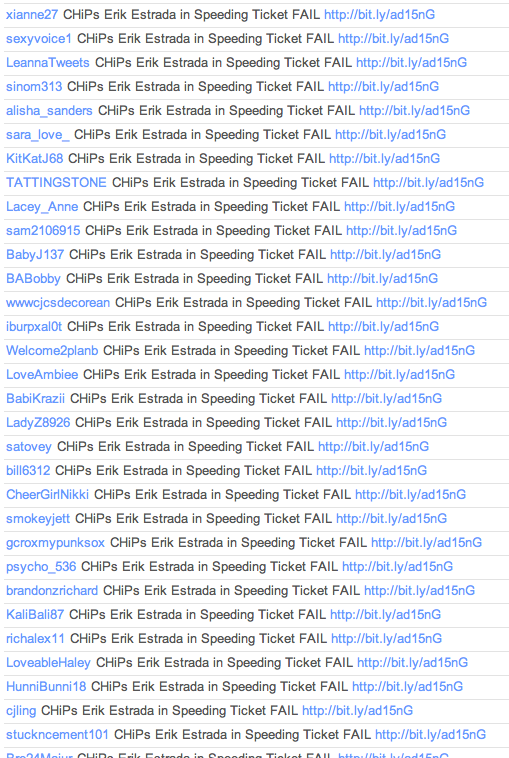 This doesn’t count people who just loaded the page or quit a few minutes in, either. 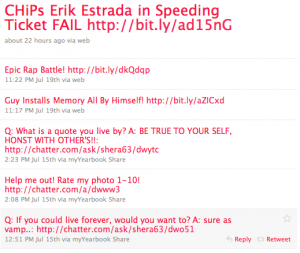 These were substantial views, as defined by YouTube and Vimeo. Our headline Tech Field Day events generate amazingly strong viewership. Wireless Field Day 2, Networking Field Day 3, and Storage Field Day 1 were held in the first half of the year. Now that viewers have had a chance to take a look, these events have generated 16,983, 16,535, and 11,552 views, respectively. Although audiences haven’t had as much time to watch the videos from Wireless Field Day 3, Networking Field Day 4, and Storage Field Day 2 since they came later in the year, these events are performing strongly as well. WFD3 (September) is already at 8,064 views, while NFD4 (October) is at 7,942 and SFD2 (November) is at 4,437. 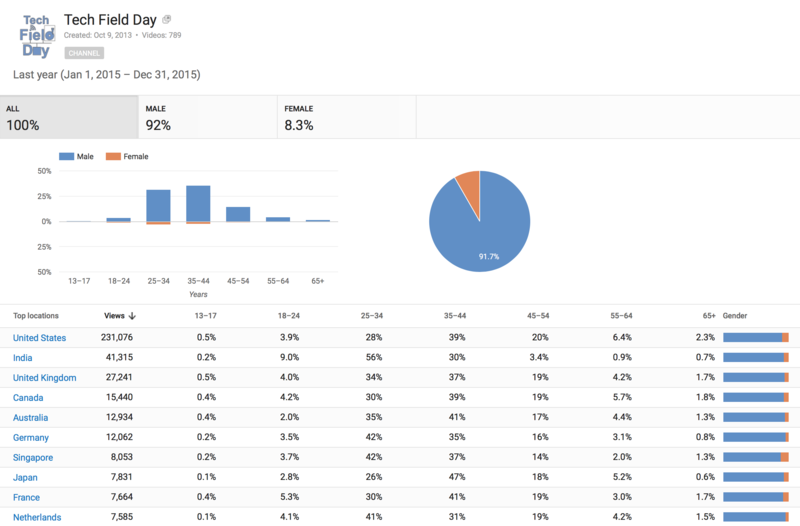 Overall, YouTube accounts for 62% of Tech Field Day video views, even though we usually embed and link to Vimeo because we prefer their customization options. This suggests that a majority of viewers are casually “stumbling on” these videos and finding the content compelling enough to watch all the way through! Tech Field Day is a challenging event for the presenters, the delegates, and the audience. The conversations are usually highly technical, diving deeper and lasting longer than most enterprise IT videos. The fact that our viewership is so high makes us beam with pride: We must be doing something right!